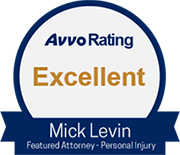 The trial attorneys of Mick Levin, PLC represent victims of severe injuries caused by intoxicated drivers of land vehicles and boats. Alcohol and motor vehicles are a dangerous combination and frequently lead to disaster. Drunk driving is the leading cause of fatal car crashes in the United States. In Arizona, the results have been devastating. For representation in an alcohol-related car crash case, contact us. We offer free initial consultations. You pay nothing unless we win your case. Offenders may also be ordered to pay punitive damages or damages intended to punish an offender and deter him from repeating this dangerous conduct. Alcohol-related injury cases are subject to a time limit known as the "statute of limitations." In Arizona, such a case may need to be filed within as little as one year from the date of the injury-causing event. If you or someone you know has suffered from an alcohol-related injury in Arizona, please call our lawyers at Mick Levin, P.L.C for a free consultation and to discuss the ways in which we may be able to help you through a difficult time. IMPORTANT NOTICE AND DISCLAIMER: This section covers Alcohol Related Auto Accidents, Dram Shop Laws, Bar or Club Owner Liability for Drunk Driving Accidents - how to sue a bar for negligence, suing a bar for over serving, suing a bar for injury, suing a bar for drunk driver DUI, suing a restaurant, dram shop laws, alcohol realted accidents, injuries, court cases. All articles and papers on this site are published for general informational purposes and do not constitute legal advice, nor create an attorney-client relationship between Mick Levin, PLC and the reader. The articles are believed to be accurate on the date written but may not be updated to incorporate changes in the law after the date of publication on the site, and therefore, any information contained therein should be researched and confirmed to assure currency.